Week-long trip to Maine, filled with lobsters, blueberries, rugged coastline and a wedding! Many of these shots are from Acadia National Park. Don't forget to click the "Map This" button to see where all of these shots were taken. Lobster Buoy These things are everywhere. They're in almost every shot of the ocean from the entire trip. We learned all about lobster fishing/trapping on our boat tour of Frenchman's Bay, including how reproducing females are marked to show that they're off limits. 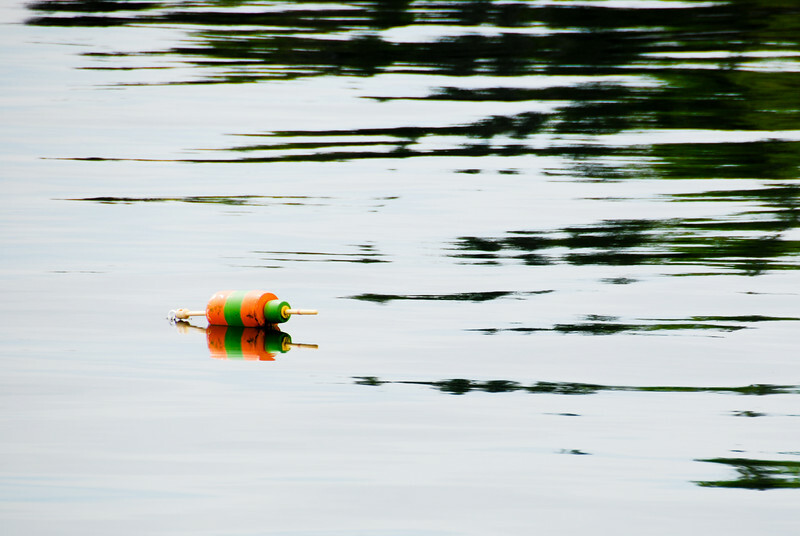 When you get a lobster license, you get a unique color and pattern for your buoys so you can tell them apart.